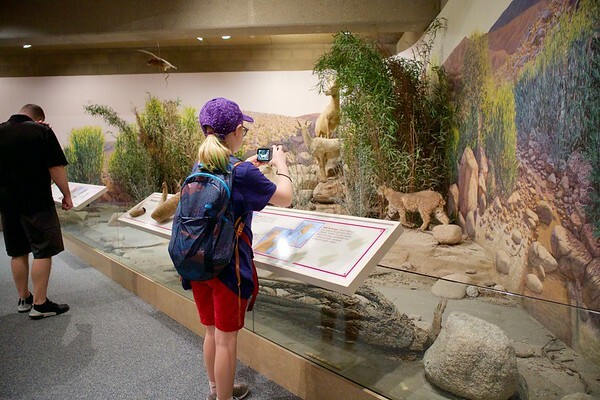 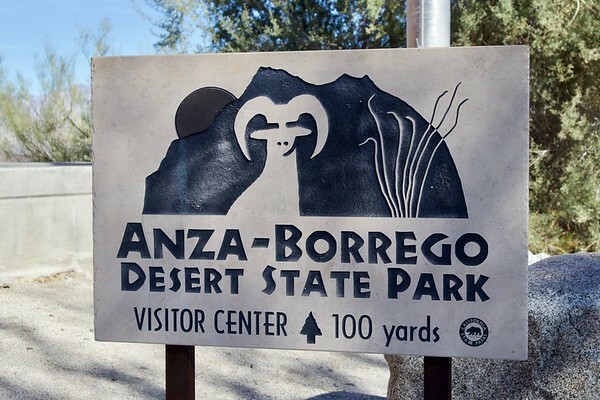 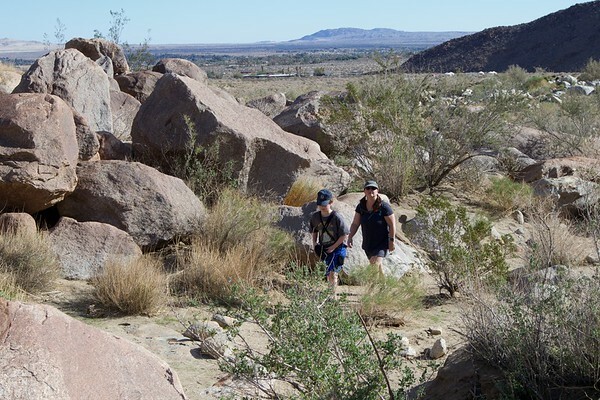 We took a day to visit Anza-Borrego Desert State Park, California’s largest state park, and part of the Colorado Desert. 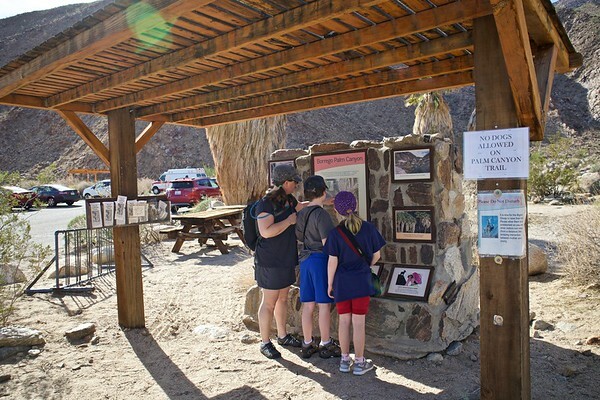 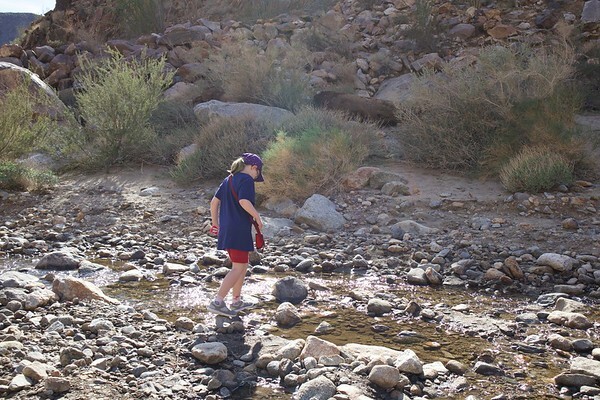 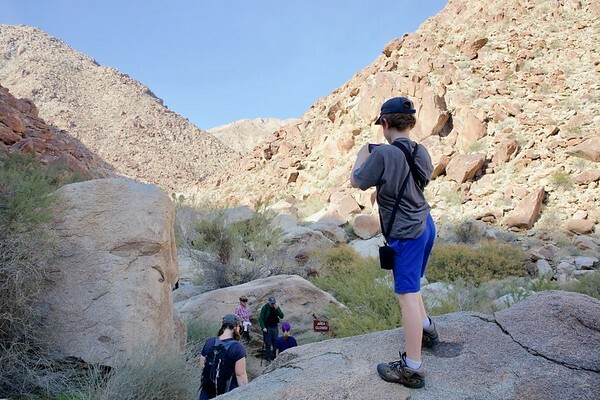 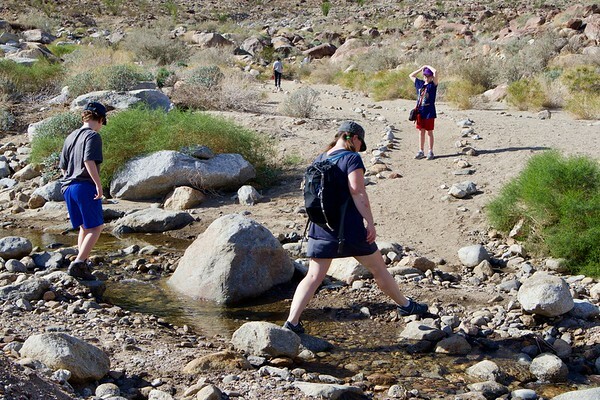 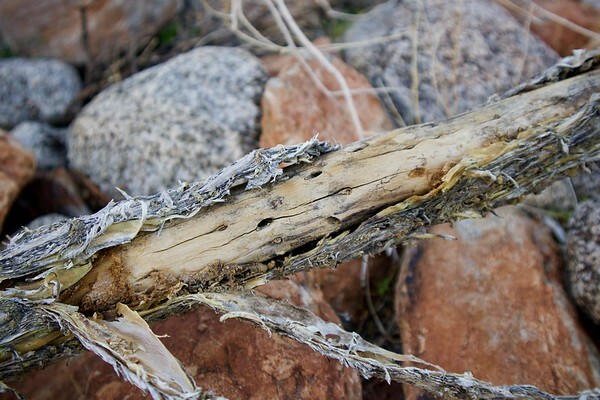 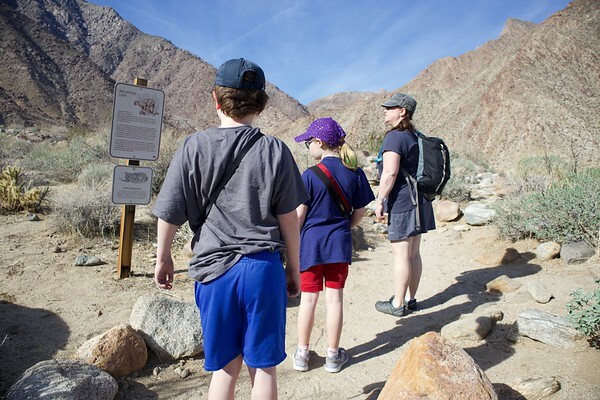 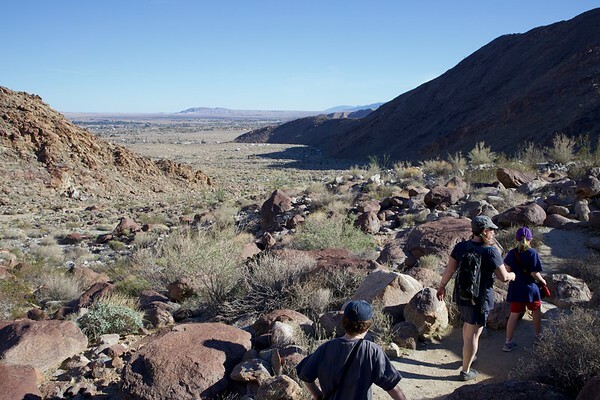 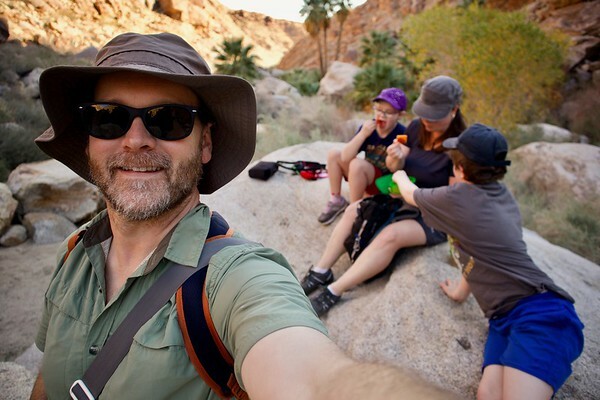 We entered the park through the charming kitschy desert town of Borrego Springs, headed for the Palm Canyon Trail. 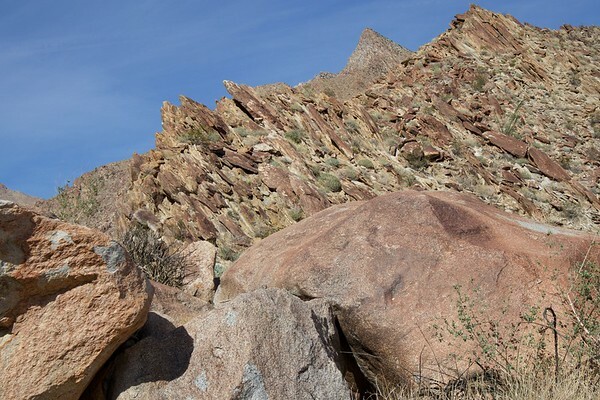 The trail slowly rose through a long canyon between rocky steep hillsides that were supposedly covered in mountain sheep, but we never saw any. 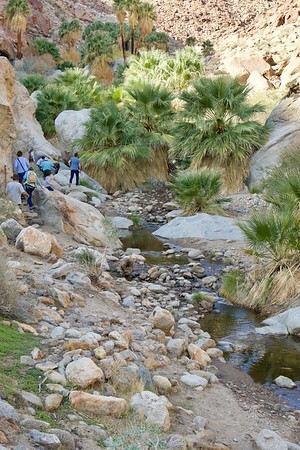 There was a stream with water trickling through the canyon, providing a much-needed water source for the sheep and other critters around the canyon. 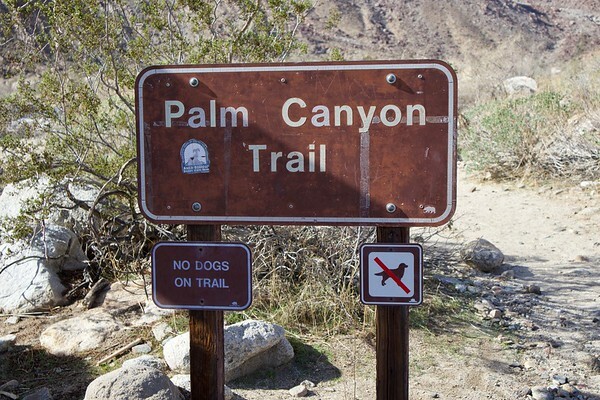 We crossed it several times. 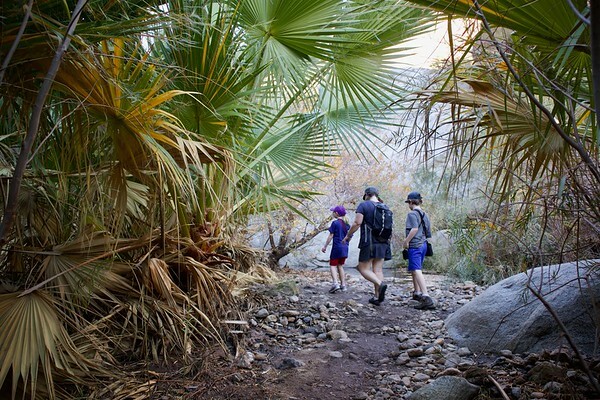 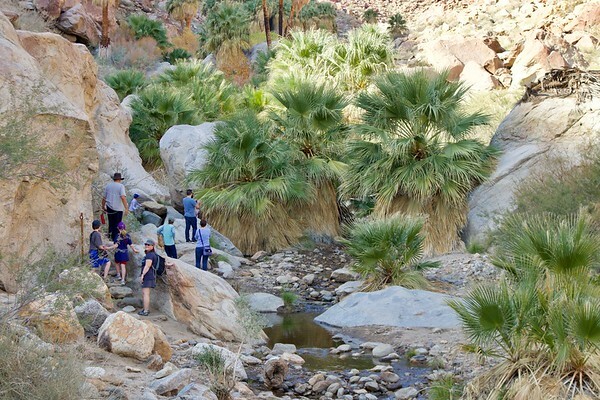 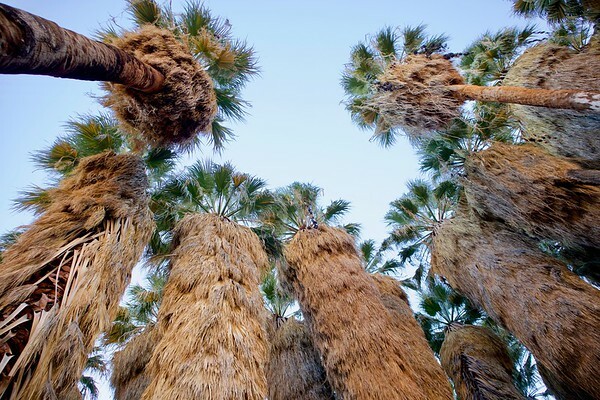 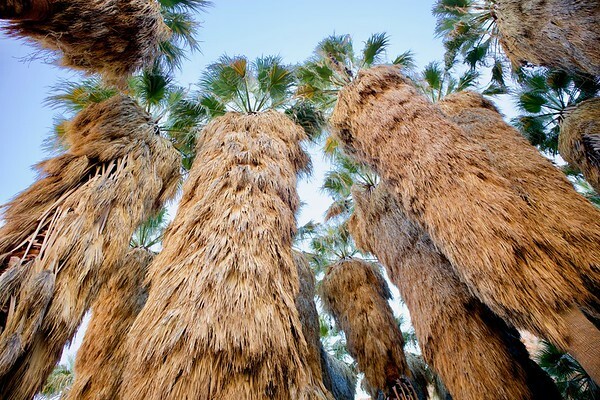 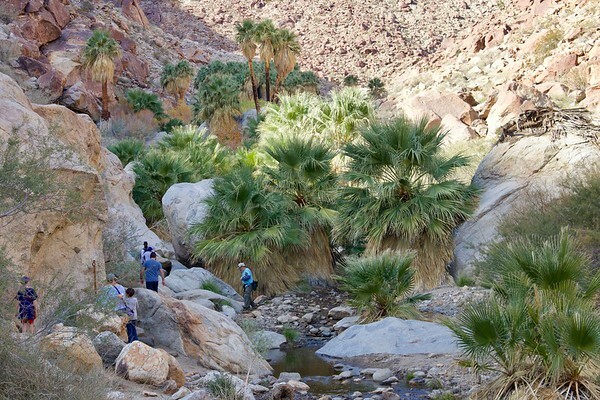 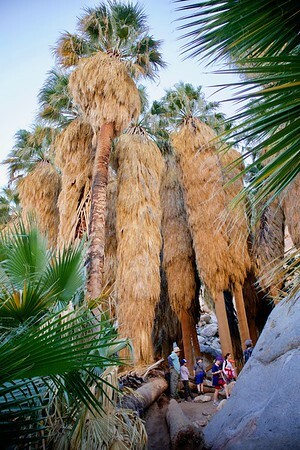 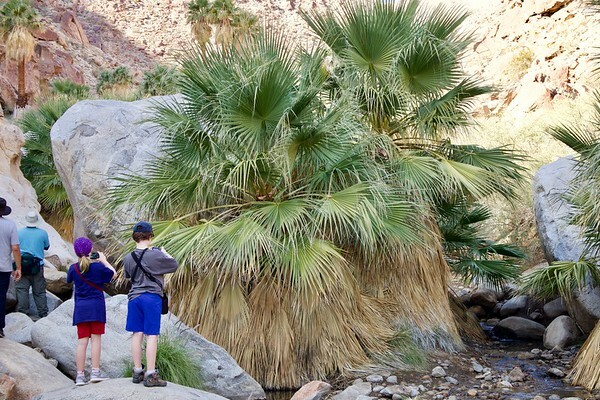 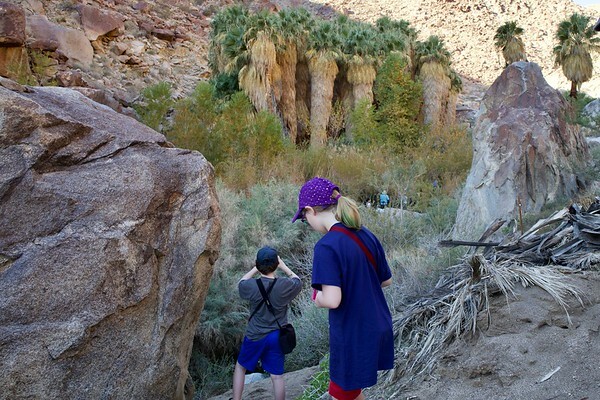 The destination of this hike was a California Fan Palm oasis up the canyon. 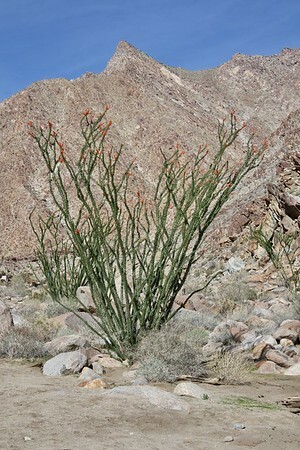 It was extraordinary! 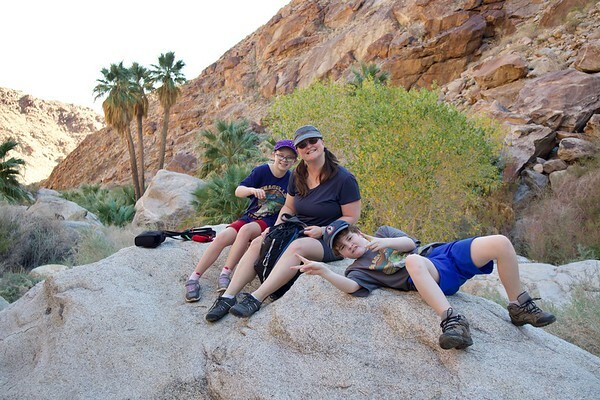 We had lunch on the way down, in the shade.